HEARTS, a Port Washington nonprofit that enriches and supports the arts in the community and schools, announced its grant recipients for the 2018-19 year with 31 district grants and six community grants. 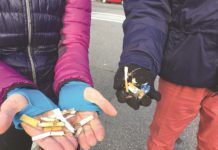 The grant recipients include all five Port Washington elementary schools, Weber Middle School, Schreiber High School, Port Summer Show 2019, Port Washington Parent Resource Center, Port Washington Senior Center and partnerships with Landmark on Main Street and Residents Forward. The school district is set to receive funding for programs related to music, art, writing, dance and theater. In the music category, all schools will receive funding for the district band spectacular at Tilles Center for Performing Arts, a program that gives students the experience of performing in a world-class concert hall. All elementary schools and Weber Middle School are set to get funding to provide scholarships for students to attend the district’s summer music program and Weber Middle School will receive grants for an activism and protest program in which students learn about protest songs, history and poetry—a technical music program that allows students to learn how to operate sound and lighting boards, create music digitally and more—the woodwind and brass ensemble, the Weber Pop Choir and technology for the general music classes. 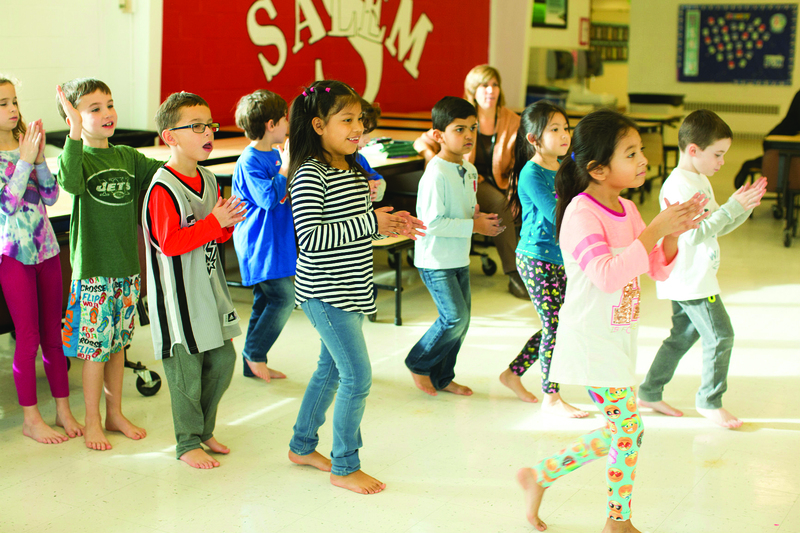 At Salem Elementary School, a grant will be given for the winter music blues exploration program that allows students to play instruments on indoor recess days. For art, all elementary schools will receive grant funding for the Afternoon Artists program for third and fifth graders while Schreiber is set to receive grants for a creative glass fusing and slumping class that focuses on 3-D designs, mural supplies for senior experience, a solarplate etching program, the “No Place for Hate” mural project, the memory project in which the Art Honor Society creates portraits of teens and children around the world who have been orphaned. Weber Middle School will be given a grant for video production. 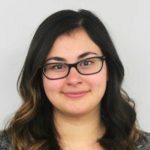 HEARTS will award Salem Elementary School with a grant for their language through art program, which allows ENL students to learn English through visual arts. In the writing category, HEARTS will fund a news writing and editing in the digital age program in partnership with The Ed. Foundation, during which sixth grade students will learn about digital news production. Programs related to dance that will receive funding in the 2018-19 year include Dancing Classrooms for fifth-grade students in all elementary schools, a Dance, Dance, Dance program for prekindergarten students where they will explore space and tempo, develop social/emotional skills and acquire a dance vocabulary and the Ailey Dance Kids program for first graders in partnership with The Ed. Foundation. 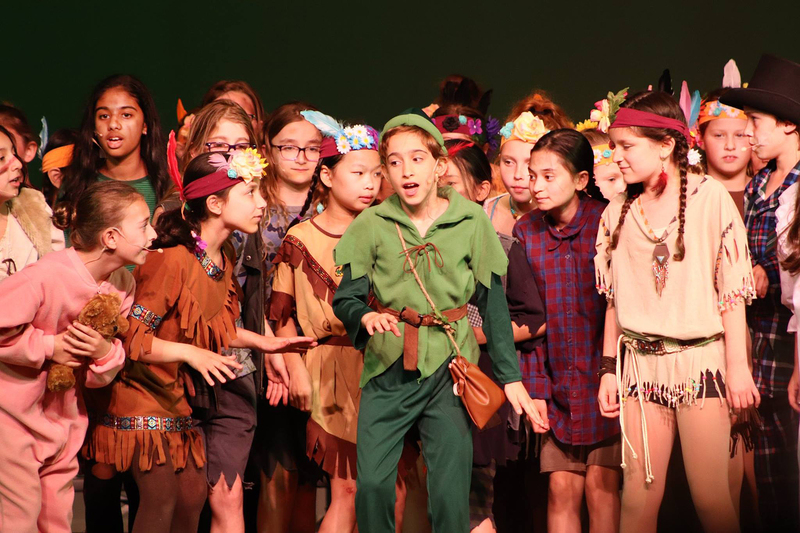 Curtains Up Program presentation of Peter Pan Jr. from Spring 2018 (Photo by Michael Siskin). HEARTS will be giving grants to a plethora of theater programs at all levels in the district. 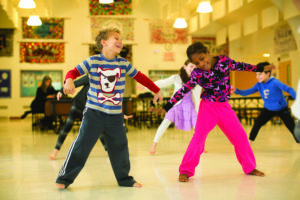 Programs are set to include Curtains Up workshops and experiences for fourth and fifth graders, the Schreiber fall drama production, the Schreiber musical production, a visit to the Classical Theatre of Harlem and a Lean On Me program to help students improve language and social skills at Weber Middle School. 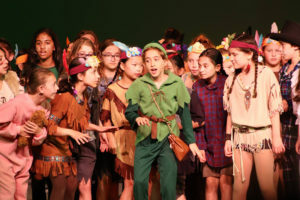 At Daly, students can be introduced to theater skills in a Daly Revue program or bring historical figures to life through live performance in the To Life, To Life program. 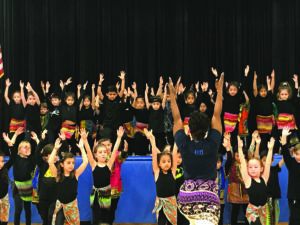 Manorhaven students will have the opportunity to take part in two theater programs—a trip to see The Nutcracker at the Tilles Center and a Broadway workshop. Thanks to HEARTS funding, Salem will be able to offer storytime theater, which incorporates performance arts with the classroom curriculum by having students act out books. 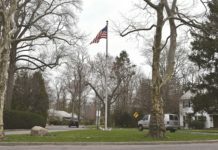 The six community grants include funding for the Port Summer Show 2019 production, a music program for the stepping stone classes and an outreach program for the Parent Resource Center, a painting class at the Port Washington Senior Center, the sponsorship of Residents Forward commuinty mural project for the “Painting History” mural and HEARTS master classes at Landmark on Main Street. 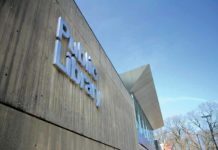 While the list of grants were released, Posner Goldman explained that the board of directors made the decision to not release any monetary amounts.